My parents met in the band in college. My mother majored in music. My father was band president. Our alumni band has been in existence for 39 years. 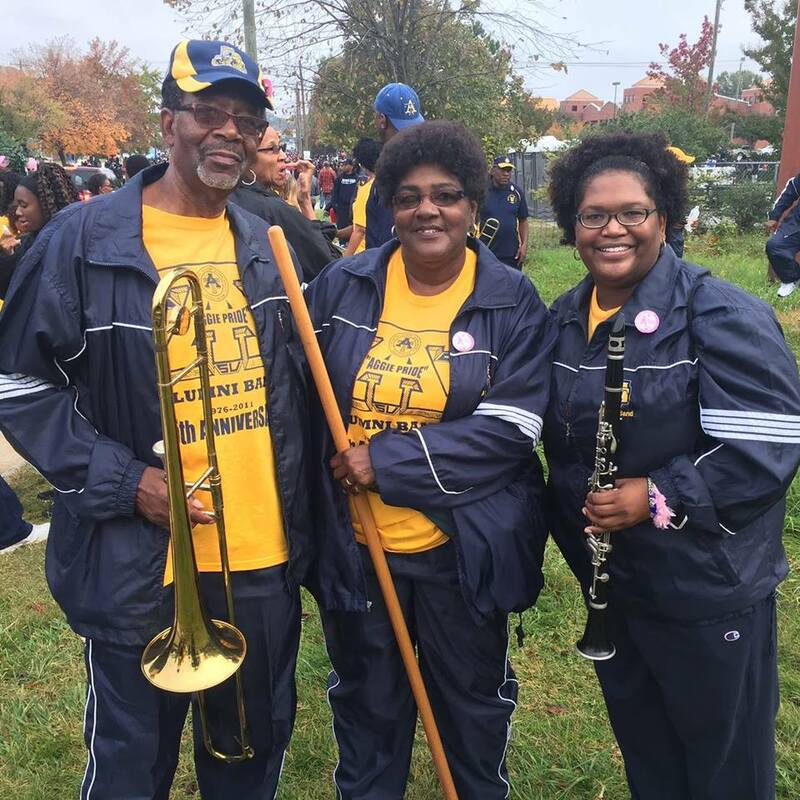 Both of them have marched in the alumni band at homecoming for 39 consecutive years. I say this to let you know that my mother asked me what I would think if they were to stop marching after next year. She said since 40 is a nice round number, they could stop after saying they have marched 40 consecutive years. I can’t even imagine them not going to homecoming or not marching in the parade. When I was a pre-teen and teenager all the way up until college, I would actually walk the parade route with the alumni band into the game. Of course when I was in college, I was in the university band. The first homecoming after I graduated, the 3 of us marched together. We even got interviewed in the local newspaper for being the first father/mother/child in the alumni band. Yeah, I know I look like my mom. I think that this is really boiling down to the fact that my parents are getting older, and I have to face that one day they will not march in the parade. As an only child, this is a hard pill to swallow. Alumni band was interesting this year. It was not like any other of the years that I have marched. The alumni band was much smaller this year. There were only 3 clarinets that marched, and a small woodwind section as a whole. I was the youngest one in my section. The next oldest to me graduated in 1984. I just couldn’t believe that nobody who marched in the 90s or 2000s or 2010s was there. I truly hope that people don’t stop marching. It would be a shame. On the opposite end of the spectrum. I ran into some of the newer (2000-2010ish) clarinet alumni and they referred to me as “Ms. Walker”. I know I’m not fresh out of school – being called Ms. or Ma’am usually doesn’t bother me. I work at a university – I’m with 18-22 year olds all the time, so I understand that they are just showing respect. But whew, that took me aback when someone said “Ms. Walker, come and pose with our section in the picture”. A girl (woman) that I marched with in college now has a daughter in the band. In fact, she has 2 daughters in 2 HBCU bands. Maybe my issue is that I have to face the fact that *I* am getting older. Believe it or not, my most meaningful relationships in college were NOT with band folks, and my best friends from college don’t even go to homecoming. One of them said that she didn’t really see anybody she knew there, so she didn’t get a lot out of it. Well, my issue is the opposite, I know plenty of people at homecoming because of the band, and some I would consider friends, but most of these are just surface-level relationships. I hug them, we do the small talk (How are you/where do you live/you look good/really nice to see you), maybe take a picture here or there, and then separate. Don’t get me wrong, I am happy to see them, but it’s not like we are going to hang out that night or anything. 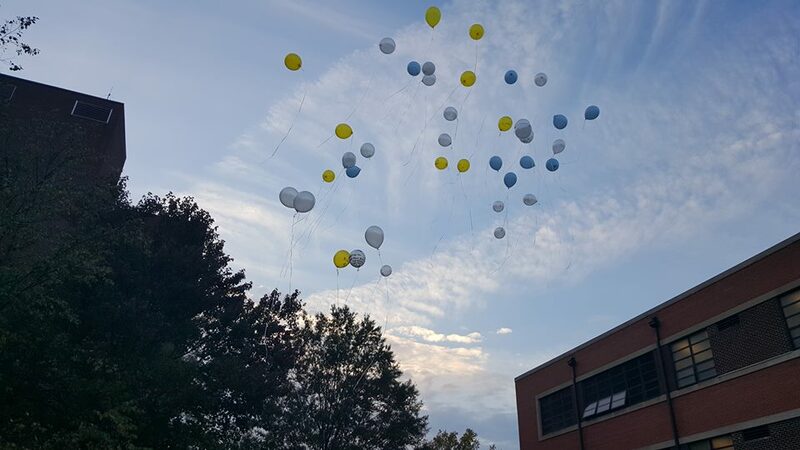 I missed a small on-campus memorial for a classmate of mine (we had the same major and took most of our classes together) who passed away last year. On the way home, all I could think was – man, if I was at the memorial, I could catch up with the people in my major. But of course, I missed it, because I was on the other side of campus with the band. The band members with whom I have just passing relationships. My love for the band as a whole will keep me marching in alumni band. It was such a huge part of my college life, although it did not define my time in college. Time will only tell what will become of the alumni band and my family’s role in it. Sometimes I wish I could be cloned for homecoming alone.